OpenBazaar is one of those projects Bitcoin and blockchain enthusiasts have been looking forward to for quite a long time. Although the software was available in beta form for general testing as well, the marketplace solution is not officially released to the public. This decentralized peer-to-peer trade network has a lot of potential to shake up the world as we know it, as it cuts out any middleman, and there are no fees. One of the main selling points for OpenBazaar is how this peer-to-peer marketplace solution will use Bitcoin as the primary currency. Not only will this give the platform a more global appeal, but it also helps reduce the trading fees to zero, and allows for much quicker and convenient payments compared to traditional options. 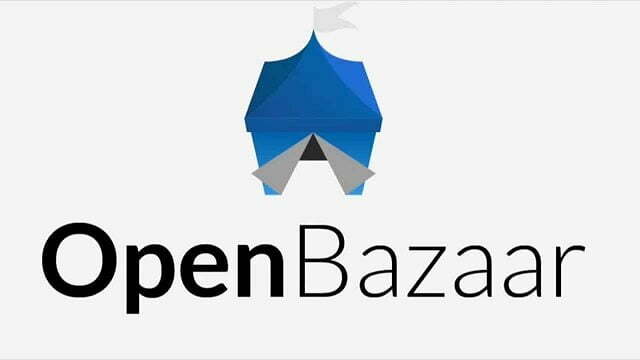 Although there is a lot of competition in the world of online marketplaces, OpenBazaar feels they will have a leg up over their competitors. One thing platforms such as Amazon, eBay, or Alibaba do not offer, is the decentralization aspect. Companies who are in full control of their marketplace do not embrace the ideology of directly connecting buyers and sellers, without imposing a middleman for each trade. Users who have dealt with the aforementioned marketplaces before will notice there is always a fee associated with listing items for sale on each of those platforms. OpenBazaar removes those fees from the equation, as well as any cut other companies would take when processing the payment itself. All in all, a much more convenient and cheaper solution for both buyers and sellers. Peer-to-peer trades are the way these types of transactions should be completed, rather than putting one’s trust in an external third party. Moreover, since Bitcoin is the primary payment option for OpenBazaar users, there will be no delays to send or receive funds, as everything will occur in the same way as a regular Bitcoin transaction would. What makes OpenBazaar a rather unique marketplace is how there are no terms and conditions to take into account. Any other market in the world lets users “sign” an agreement when signing up, but there is no need for those trivialities when using a decentralized peer-to-peer marketplace. The entire platform prides itself on being a permissionless trade solution, without restrictions and fees. It is important to note the development of OpenBazaar is still ongoing, as the founders and developers have formed a company, called OB1. The primary purpose of this entity is to continue development full-time, and improvements and new features will be added over time. Additionally, the company plans to bring additional services to the marketplace solution, although no specific details have been revealed at the time of publication.